The earliest known clothing dryer, dubbed a “ventilator,” was invented in France in 1799. This primitive dryer was made out of a metal drum, and the heat to dry clothing was derived from a fire. The first version of the modern-day dryer was invented by J. Ross Moore in 1930, and as technology developed so did the clothing dryer. While most dryers require ventilation, the appliance industry offers a variety of ventless dryers. 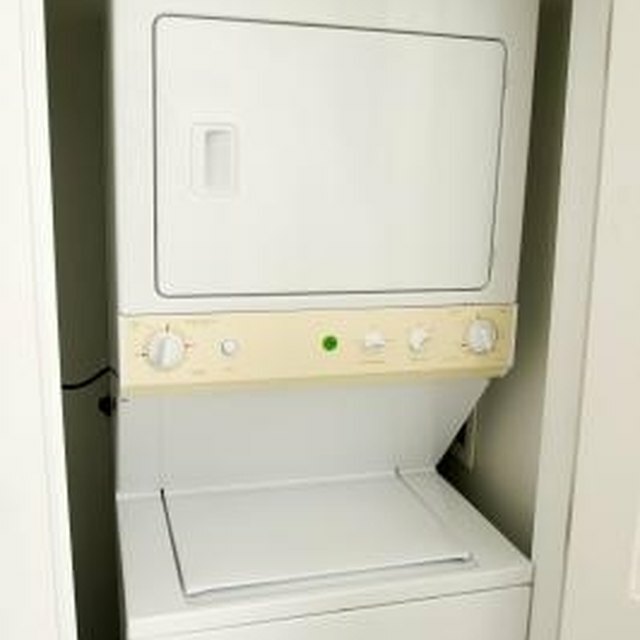 The best ventless dryer is one that offers ample capacity, cycles and other features to properly tend and dry your laundry. Ventless dryers may be placed in any room of your home. Ventless dryers, also known as condenser dryers, work by removing moisture from clothing through a heat exchanger element, which continually pushes hot air through clothing. Moisture from the clothing is extracted and drained away through a tube or deposited in a condensation reservoir. Like traditional vented dryers, ventless dryers are available in a variety of sizes. The smallest ventless dryers typically feature a 20-cubic-foot capacity, while larger dryers offer up to 42 cubic feet of drying space. The best ventless dryer for a family may not be suitable for a single professional. If you regularly dry large laundry loads of jeans, towels or bed sheets, a dryer with a minimum capacity of 32 cubic feet may be ideal. Hhowever, due to its drying system, do not fill the dryer to full capacity, as this will extend the drying duration. Moisture sensors are located in the drying drum, and they continually monitor the moisture level of laundry. This advanced feature ensures clothing is neither over-dried nor under-dried, which helps prevent damage to clothing fibers because laundry will not be exposed to unnecessary heat. Moisture sensors also help reduce energy consumption, as the dryer is automatically turned off when your laundry is dry. While the majority of ventless dryers offer similar cycles, such as permanent press, heavy duty and gentle, the best dryer for you is one that offers cycles that tend to the type of clothing you own. Along with programmed cycles, purchase a dryer with drying options such as wrinkle reduction and various drying levels. To determine the best ventless dryer, review the type of clothing you own and search for a dryer with cycles and options that care for specific fabric types. VentlessDryers.org: Where Should I Begin? How Do Steam Dryers Work? What Is the Most Energy-Efficient Clothes Dryer?